IU now has partnerships with two honor societies! Honor societies offer excellent professional development, continuing education and networking opportunities now and post graduation as membership is for life! For undergraduate students, we have partnered with the Society for Collegiate Leadership and Achievement (SCLA). The requirements for membership are completion of at least 12 credits and a minimum GPA of 3.0. Please see the SCLA website for all of its benefits! 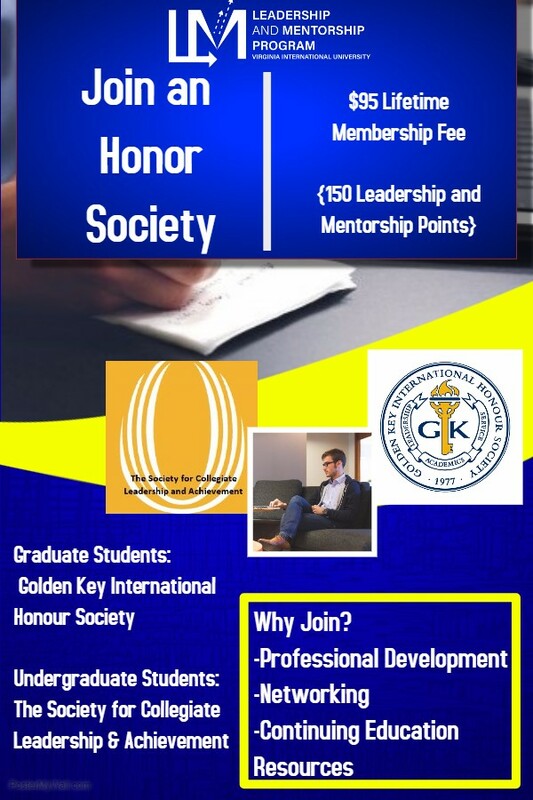 For graduate students, we have partnered with Golden Key International Honour Society. The requirement for membership is a minimum GPA of 3.8. Please see the Golden Key website for all its benefits! Those students who are eligible for either organization should have received an invitation email from the organization. Both have a one-time $95 membership fee that covers membership for life. If you have any questions regarding these organizations or VIU’s affiliation with them. Please contact the Student Affairs Department.